But what if it also works the other way? What if a defendant on trial for sexual crimes has to accept his 'victim' as she comes: a strong, determined accuser who knows the legal system, who will not back down until justice is done? Bri Lee began her first day of work at the Queensland District Court as a bright-eyed judge's associate. Two years later she was back as the complainant in her own case. This is the story of Bri's journey through the Australian legal system; first as the daughter of a policeman, then as a law student, and finally as a judge's associate in both metropolitan and regional Queensland-where justice can look very different, especially for women. The injustice Bri witnessed, mourned and raged over every day finally forced her to confront her own personal history, one she'd vowed never to tell. And this is how, after years of struggle, she found herself on the other side of the courtroom, telling her story. Bri Lee has written a fierce and eloquent memoir that addresses both her own reckoning with the past as well as with the stories around her, to speak the truth with wit, empathy and unflinching courage. Eggshell Skull is a haunting appraisal of modern Australia from a new and essential voice. In an ideal word, the legal system would be the ultimate beacon of hope – a place where justice is swift and society’s moral compass is upheld. Looking at Australia’s current climate, does the reality hit the mark? Bri Lee’s evocative memoir takes readers through her own experiences with the law: being the daughter of a policeman, her job as a judge’s associate and finally the protagonist in her own case. 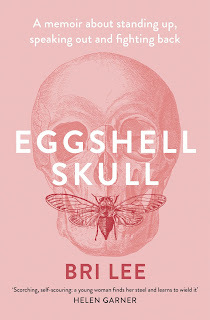 Eggshell Skull is a book that explores one woman’s journey in understanding how others have contested the wrongs against them, the difference between what seems ‘fair’ and ‘just’, and the emotional toll to fight – even when you have the law on your side. You don’t need to have a legal background to appreciate the depth of Lee’s story. While the intricacies of court cases and what she witnessed while working with a judge are included, the real focus is on people relying on the system to bring them a reprieve. Confronting and yet written with a quiet assuredness, it’s harrowing to realise the mountain of procedural requirements victims of sexual assault must get through to have their case heard. Even the most sickening crimes could be treated with apparent leniency because of a gap in evidence or a complainant who is too ‘sensitive’, too ‘unreliable’ to be believed. The worries of ‘wasting a court’s time’ with what seemed ‘minor’ in comparison to the horrific cases she’d heard were overcome by an unwavering determination to hold the person who hurt her accountable. In reading this you’re confronted with the double-edged sword in the pursuit of justice, where one must decide if bringing back the onslaught of painful memories is worth a trial which could span years. It's a realisation most of us have at some point in our young adult lives, that there's no guidebook for the important stuff. When you most want to stride out from under the wings of your parents, you will simultaneously long for their guidance and reassurance like never before. In the worst moments of those nights I thought of my mum, and how I could burn down everything around me and that she would still come help me if I just picked up the phone. Like most of my female friends, I rarely fought with my father and often fought with my mother, but we all knew that when the chips were down our mums would be the first to run into the blaze after us. Interestingly, it could be said that men paradoxically play the role of either perpetrator or protector when it comes to the issue of a woman’s safety. On the one hand, you may feel safer with a man by your side when catching the train home alone at night, but on the other it’s an unfortunate reality that we even think this way in the first place. Though her personal account illustrated the insidious nature of the apparent ‘nice guy’ who just happened to slip-up at that point in time, Lee did have positive male influences in her life. Her father and partner were resolute in their capacity to show compassion and be there when she needed them most. While an extra level of caution and heightened awareness in situations where a woman could be perceived as vulnerable is inevitable, Lee’s story is testimony to the existence of genuinely good men whose intentions would go beyond the role of a ‘protector’; being actively opposed to violence against women in general. It's so easy for them to say that 'her word alone' wasn't enough to overcome their reasonable doubts. The alternative is a little terrifying - that if one in five women were assaulted, one in five men might be the assaulters. 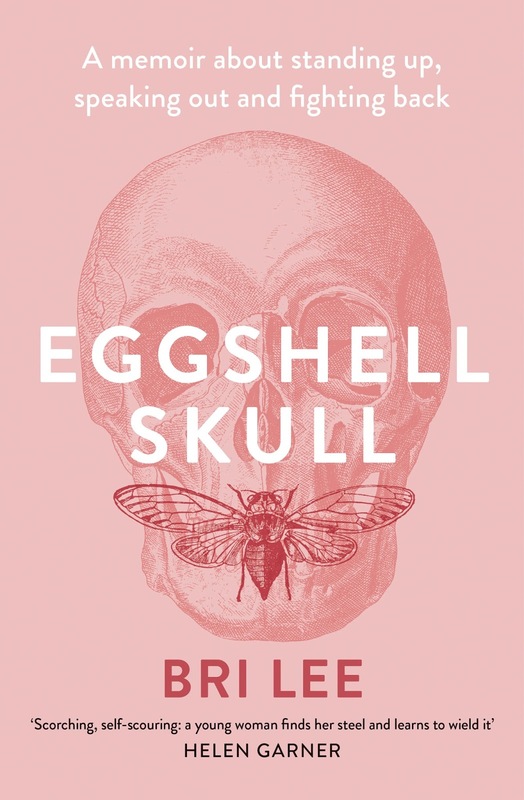 What makes Eggshell Skull a particularly emotional read is how Lee described the feelings of shame and intense self-loathing throughout her pursuit for justice. Part of it could be attributed to having witnessed first-hand the moral quandary of the legal system, so firmly built on rationale and logic, when faced with sexual assault victims. To complicate matters further, when the alleged incident may have happened decades before it is increasingly difficult to adduce the kind of clearly incriminating evidence a jury would expect. How accurately can the pain and suffering inflicted on another person be measured? How do you make peace with a ‘not guilty’ verdict that appears to contravene community standards? These are questions raised which are likely to be a source of further debate in time. But if there is criticism of the legal system to be found in this book, it is moderated nonetheless by an understanding of those who work within its confines, and are often under-resourced. It was fascinating to see how Lee’s professional relationship with the judge she worked for developed; though he was not directly involved in her own case, their bond was built on a respect for what it takes to hear from the darkest sides of human nature on a daily basis and the ability to separate that from your personal life. The lessons from her female peers also struck a chord, from the revelations of hidden insecurities to the unexpected sense of camaraderie which followed a glimpse into each other’s vulnerabilities. In this way, Eggshell Skull acts as both a memoir and call-to-action – perhaps not so overtly as a feminist manifesto, but an inspiring tale that recognises the relief in sharing a grievance and finding other women who could relate and say ‘me too’. In all, Eggshell Skull is eye-opening and courageously told. A story about coming through the legal system, working both within it and then from a place of retribution, this is a must-read from a bold voice we can learn so much from. It's 1972 in Gibber's Creek, and across the nation, the catchcry is, 'It's time'. As political ideals drift from disaster to the dismissal, it's also time for Jed Kelly to choose between past love, Nicholas, the local Labor member, and Sam from the Halfway to Eternity commune. It's time too for Matilda Thompson to face her ghosts and the life that took a young girl from the slums of Grinder's Alley to being the formidable matriarch of Gibber's Creek. During this period of extraordinary social change and idealism, modern Australia would be born. And although the nation would dream of a better world, it would continue to struggle with opposing ideas of exactly what that better world might be. There's something inherently comforting about coming back to a series you've been following for years. In the Matilda Saga, the characters are familiar, and so is the sense of place as Jackie French so deftly captures the Australian landscape. As time has gone by, in the almost ten years its been since I first picked up A Waltz for Matilda, I've found new ways to relate to the series and appreciate just how beautifully the stories have been woven. We've been brought from the early days of Federation when this series began, through to the 1970's in If Blood Should Stain the Wattle. In the decades that have passed for the families whose stories are covered in this saga, there's been a fair balance of heartache, resilience love for both people and the land which has bound generations to its soil. As she grew older, she realised that loving this small portion of the landscape, home of so many of her ancestors, meant also loving each bit that was joined to it, and each that was joined to that, till finally it took in the whole world. 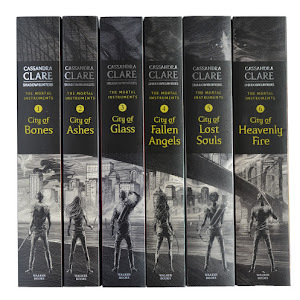 What I've always loved about this sweeping saga is how it portrays the strength people find in their hardest times, the complexities of human relationships and what it takes to forge your own path in life. Matilda as the backbone of the series may have aged by this stage, but seeing her character develop has been a joy. A brilliant role model for younger readers just starting out with these books, it was fascinating to discover how she came to fulfill the roles of wife, mother, factory owner and community advocate. 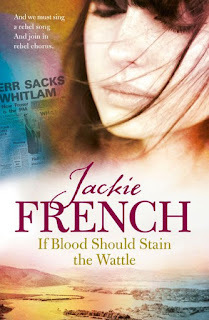 As new faces were introduced in each book and the focus shifted to their stories to share, Jackie French excelled in making sure that the connections between her characters were both meaningful and written with such heart. The political landscape takes a sharper focus in this novel, with the Gough Whitlam campaign influencing the small town of Gibber's Creek. 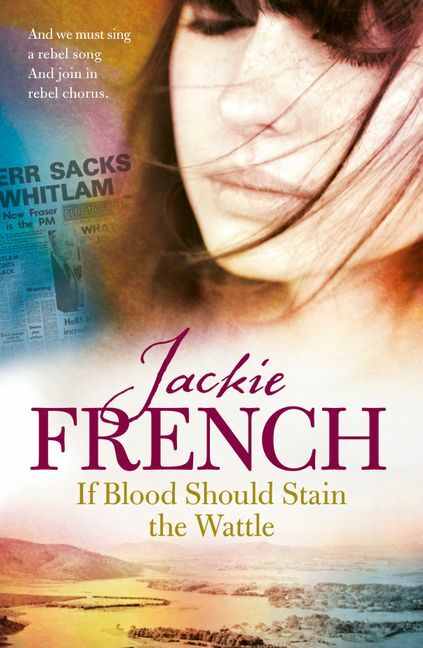 If there's anyone who can make Australian history come to life on the page, it's Jackie French , and here it's clear that she's done her research, while even using some of her own experiences as inspiration. As the nation heads in a new direction, there is still an exploration of the scars left by war and the people left behind, with decisions to be made by Jed and others about what path in life will offer more than simply 'good enough'; a road to long-term fulfillment of one's potential. The Matilda Saga will always hold a special place on both my shelves, and in my best memories of being a reader. It's wide range of issues explored means that it can be read by people of any age - there's sure to be a lesson or two in there we can put towards life beyond the pages. 2018 was the year I branched out and read a whole lot more non-fiction, discovering some gems along the way which changed the way I look at life - and isn't that what the joy of reading is all about? This year I've got a heap of new books from my Christmas haul written by some of my favourites (think more Alain de Botton, Brene Brown and good old 'books about books'), but there's always more fiction to be discovered in this next chapter with the start of the new year! Sally Hepworth has been compared to the likes of Liane Moriarty, and it's great to see Australian women making a hit with their novels. I really enjoyed The Family Next Door so it'll be interesting to see what domestic drama she's concocted in The Mother-in-Law. I'm all for a moving contemporary, and The Truths and Triumphs of Grace Atherton, centred around a woman who owns a violin shop and faces changes in her relationships while learning some hard truths, seems sure to deliver a compelling read. Can a real relationship develop through text messages? In Emergency Contact, that's the question, and I'm keen to see how it plays out since this book has already created some hype in the YA blogging sphere. I've mentioned it before, and I'll say it again - The Dreamers is a top pick of mine this year! Karen Thompson Walker's writing style captivated me in The Age of Miracles, so I'm ready to see how this latest release compares - it's already been placed in the same category as Station Eleven, Never Let Me Go, and I'd even say some of Cat Patrick's works too. Heart of the Grass Tree by debut Australian author Molly Murn is a historical novel about mothers, daughters and the bonds between people and the land they've grown up on. A YA historical novel set at the cusp on the French Revolution, Gita Trelease's first novel Enchantée sounds like a vibrant exploration of Paris at the time. Lauren James was a success thanks to her 'The Next Together' duology, and The Quiet at the end of the World promises another love story with a sci-fi twist. 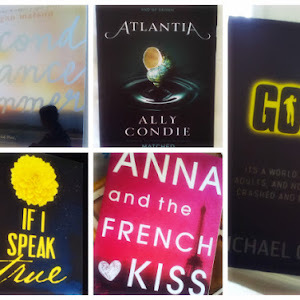 It's amazing to see more upcoming #LoveOzYA novels hitting the shelves this year, and as a fan of short story collections I'm so excited to read Underdog! Dig by A.S. King, whose books have been described as involving 'imitable surrealism and insight into teenage experience', seems to offer a somewhat twisted yet intriguing family saga about generational divides and the ideas which define them. I was fortunate enough to receive an advance reader copy of The Van Apfel Girls are Gone from the 2018 HarperCollins Christmas Roadshow event, and the 'part mystery, part coming-of-age' elements give this book the potential to be super addictive. The cover of The Psychology of Time Travel originally drew me in, but it's the premise of stretching reality and altering it beyond recognition which makes it something I'll definitely have to pick up. Katie Lowe is coming out with The Furies, exploring the deep unsettling undertones of life at an elite girls' school, and has an unexplained death as the backdrop to a thriller reminiscent of Girls on Fire. Suzanne Young, author of The Program series, is returning once again to the YA scene - Girls With Sharp Sticks has been compared to 'The Stepford Wives' for teens with a hint of 'The Handmaid's Tale' - a combination like that makes it hard to miss! I actually haven't read anything by Cecelia Ahern before, but a witty short story collection is always a good place to start so Roar has made this list! After loving the heartwarming and quirky novel that is Happiness for Humans last year, I was interested to find a book with a similar take on whether a piece of equipment can predict what's best for us - The Happiness Machine. A suspenseful read complete with obsession, twists and lies, The Cliff House will hopefully deliver on an atmospheric page-turner. Not to be out-done, Aussie author Wendy James is back with another thriller in The Accusation, right off the back of her acclaim with The Golden Child. 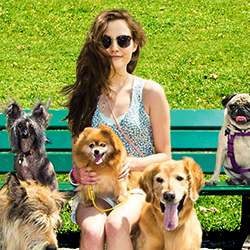 The rich-girl-clique trope could be given new life in Bunny, a searing novel about social acceptance within the ranks of an elite university. A change of pace, Confession with Blue Horses offers a glimpse into the end of Communism in East Berlin, complete with hidden family secrets waiting to be uncovered. Finally, an endearing meet-cute story never gets old, and Our Stop looks to be the perfect mix of funny, cute and romantic. Over to you - what books are you most looking forward to in 2019? 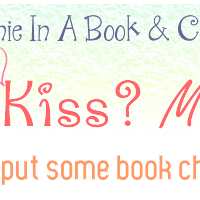 Waiting on Wednesday is a weekly prompt hosted by Breaking the Spine where the participants tell their readers about an upcoming release they are looking forward to. 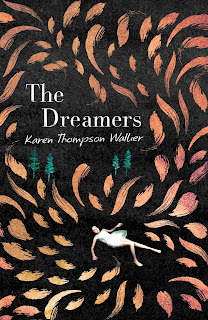 This week I've got two anticipated releases lined up: The Dreamers by Karen Thonpson Walker and some non-fiction with the latest edition of the Quarterly Essay. In an isolated college town in the hills of Southern California, a freshman girl stumbles into her dorm room, falls asleep—and doesn’t wake up. She sleeps through the morning, into the evening. Her roommate, Mei, cannot rouse her. Neither can the paramedics who carry her away, nor the perplexed doctors at the hospital. Then a second girl falls asleep, and then another, and panic takes hold of the college and spreads to the town. As the number of cases multiplies, classes are canceled, and stores begin to run out of supplies. A quarantine is established. The National Guard is summoned. Mei, an outsider in the cliquish hierarchy of dorm life, finds herself thrust together with an eccentric, idealistic classmate. Two visiting professors try to protect their newborn baby as the once-quiet streets descend into chaos. A father succumbs to the illness, leaving his daughters to fend for themselves. And at the hospital, a new life grows within a college girl, unbeknownst to her—even as she sleeps. 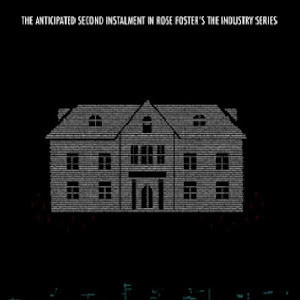 A psychiatrist, summoned from Los Angeles, attempts to make sense of the illness as it spreads through the town. Those infected are displaying unusual levels of brain activity, more than has ever been recorded. They are dreaming heightened dreams—but of what? 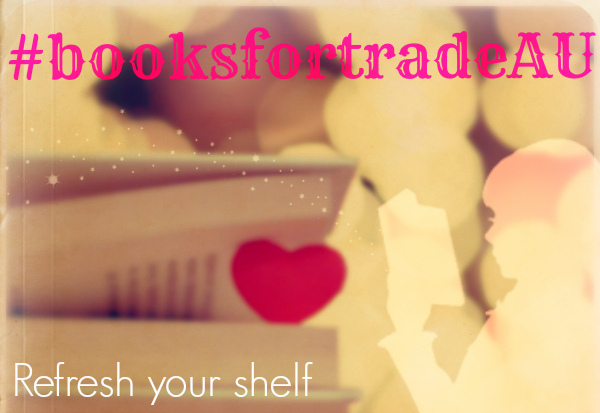 At the moment with Christmas shopping looming for this year's bookish haul, looking at books released in 2019 may seem far away! 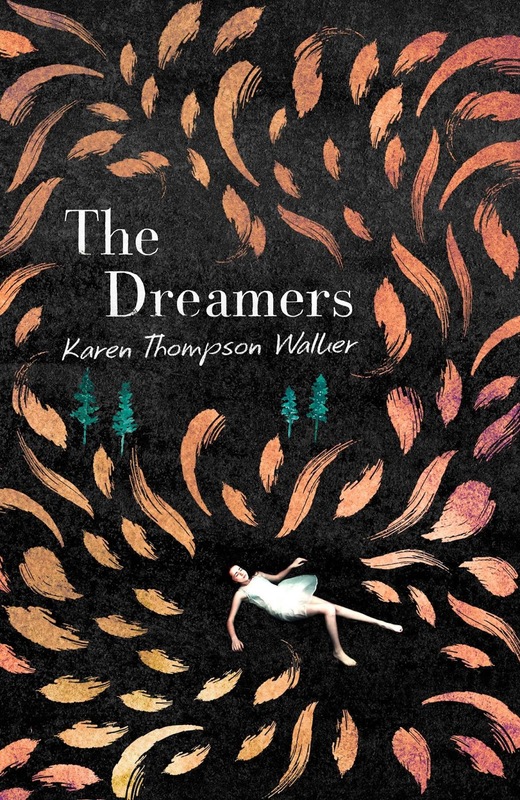 Nonetheless, I can't wait to read this release from Karen Thompson Walker - her debut The Age of Miracles is a firm favourite of mine, and she writes fiction in a way which captures human nature at its most fragile, on the cusp of something extraordinary. Stay tuned, I'll definitely be posting more about this one once I get my hands on a copy! What is the inner life? And is it vanishing in the digital age? Throughout history, artists and philosophers have cultivated the deep self, and seen value in solitude and reflection. But today, through social media, wall-to-wall marketing, reality television and the agitation of modern life, everything feels illuminated, made transparent. We feel bereft without our phones and their cameras and the feeling of instant connectivity. It gets hard to pick up a book, harder still to stay with it. In this eloquent and profound essay, renowned critic Sebastian Smee brings to the surface the idea of inner life - the awareness one may feel in front of a great painting or while listening to extraordinary music by a window at dusk or in a forest at night. No nostalgic lament, this essay evokes what is valuable and worth cultivating - a connection to our true selves, and a feeling of agency in the mystery of our own lives. At the same time, such contemplation puts us in an intensely charged relationship with things, people or works of art that are outside us. If we lose this power, Smee asks, what do we lose of ourselves? 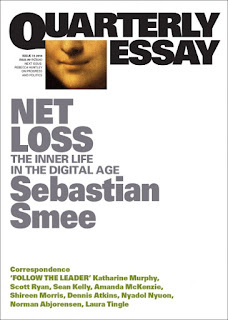 Expanding my reading habits into non-fiction has been both refreshing and eye-opening this year, and the latest edition of the quarterly essay seems right on point in an age where there is little time left to stop and be comfortable in our own thoughts; or simply appreciate life outside the screens we have become so attached to. I've got Art as Therapy by Alain de Botton and Upstream by Mary Oliver on my list as well which cover some similar ground, so I'll be looking forward to reading them all over the holidays! Releasing 26th November 2018 from Black Inc. The English delegation - led by esteemed scholar Roger Ascham - journeys to the glittering city of Constantinople. Accompanying Ascham is his pupil, Bess, who is about to bear witness to events she never thought possible. For on the first night of the tournament, a powerful guest of the Sultan is murdered, and against the backdrop of the historic event, Ascham is tasked with finding the killer. Barbaric deaths, unimaginable depravity and diplomatic treachery unfold before Bess's eyes, indelibly shaping her character and determining how she will perform her future role...as Queen Elizabeth I. Like Dan Brown, Matthew Reilly is one of those prolific authors I've always thought to try, but didn't know where to start! After The Tournament came recommended, and seeing it was historical fiction, there was no question that I had to give it a chance. This thrilling tale hones in on the life of a teenage Elizabeth I, where she is exposed to political intrigue and a series of ghastly murders during the chess tournament in 1546 set at the heart of the Ottoman Empire. The object of chess is to checkmate the king. But curiously, while the king is the crux of the game, he is the most impotent piece on the board. Even pawns can become queens and every other piece can move more than one square. And so the king in chess is like a king in life: his continued reign depends upon keeping his castles intact and his subjects onside. He is hostage to his people's continued happiness. It's no wonder that Reilly has become known as one of the greats when it comes to writing solid action, and here he's balanced it with a well-researched foundation to make the plot realistic. Of course, there is always some creative license involved, but it was useful to read in the interview at the end of the book with the author what inspired him to tell this story. From the explanations of the architecture and opulence of the palace, to how the games of chess play out in the grand setting of Hagia Sophia, Reilly's ability to create a sense of place makes its mark here. While the writing style is often pragmatic, in a story like this there's no time for the flowery prose I've come to appreciate in other historical fiction from Kate Forsyth for example. That being said, for a book like this, which doesn't shy away from graphically exploring the sexual politics at play in the Sultan's inner circle, or the gruesome murders of both Cardinals and nobles, there is never a dull moment. I had often wondered what had caused this profound change in my friend and now I knew. Sometimes we must go away to discover things about ourselves. Sometimes we go away with the wrong people. Sometimes we go away with the right teachers. Behind the drama in Constantinople is a novel exploring the coming of age of a future queen. The extracts of the rules of chess and the different roles of the pieces were a wise move to include between the chapters. Serving more as a mere reference point for those not familiar with the game, they offered a clever parallel to the politics of power in real life at the time. The bond between the chivalrous Robert Ascham and Elizabeth brought some warmth to the novel where a murderer on the loose and corrupt practices were rife. Seeing how she brought her own sense of curiosity, bravery and loyalty to her mentor and friend Elsie showcased Reilly's ability to balance both plot progression and character development to make the best of both. This year has so far been one for stepping outside my usual reading habits, and I'm glad I've continued that and picked up The Tournament. Though I didn't have any preconceptions of Matthew Reilly's writing, it's easy to see why he's reached such acclaim. If any of you have any recommendations on where to go next with his books from here, let me know!